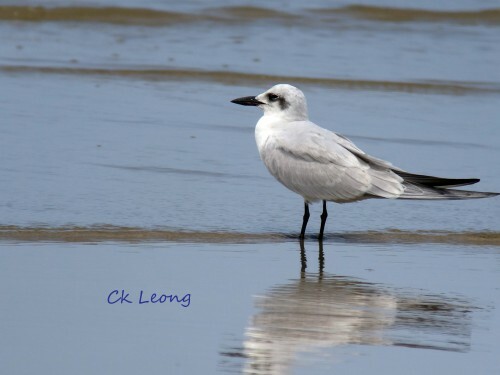 At the Tanjung Aru beach north of Kota Kinabalu last month, this lone Gull-billed Tern stood out among a group of Little Terns. It was already in winter plumage, grey on the upper parts and black patch behind the eye. 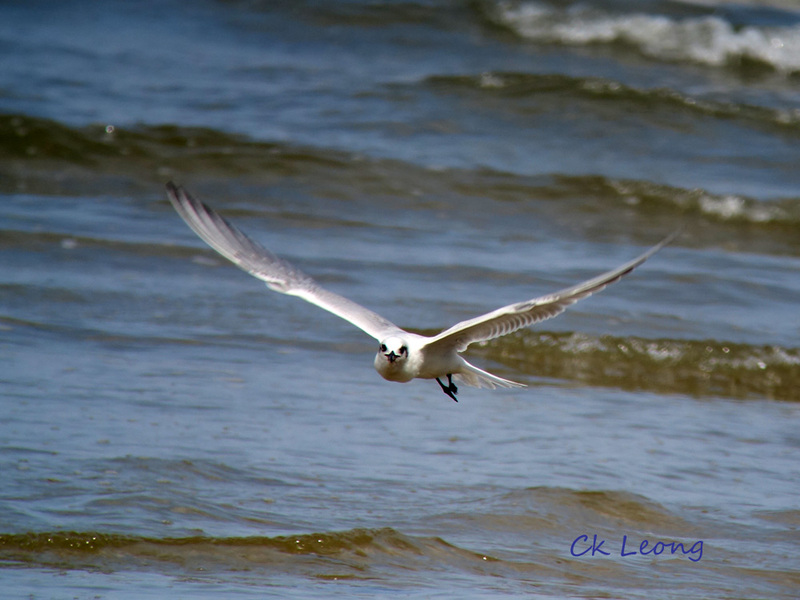 Perhaps because it was with the Little Terns, its size caught my full attention (my lifer!). 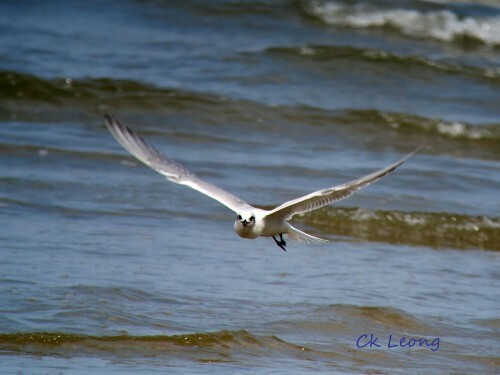 Between graceful flights over the surf, it came down on the beach and sat with the other terns and waders. Great day.